Mail Online has apologised for publishing a photo of a girl murdered in 2013 as among those missing after the Manchester Arena explosion. Twenty-two people were killed and 250 injured in a suicide attack at an Ariana Grande concert at the venue on 22 May. 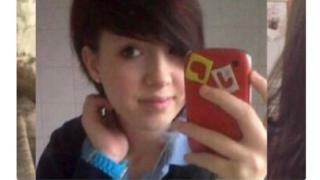 The following day Mail Online used a "viral" social media post of missing people that included Jayden Parkinson. Her mother has received an apology and a £150 donation from the website. But Samantha Shrewsbury said on Twitter she was "disgusted" by the response from Mail Online. She told the BBC: "To see that [post] the day after the Manchester bombing, it was a nightmare, it took me back 20 steps from where I was. "I have to deal with this every day, that something reminds me of her. But to have that happen, and then have a half-hearted apology, is a real kick in the teeth. "I don't think much of Mail Online - their apology is not accepted." Jayden, 17, was strangled by her ex-boyfriend Ben Blakeley in Oxfordshire. Her body was found buried in a Didcot graveyard in December 2013. Several images circulating online after the Manchester attack have been identified as fakes. In a letter to Ms Shrewsbury Ashlee Gagui, editorial manager at Mail Online, apologised for causing her family "further grief". He wrote: "The image montage was created by a social media user and had gone viral by the time we published it. "As soon as we understood the photo to be a fake, we removed it from our website and internal systems." Mail Online was contacted for a comment.